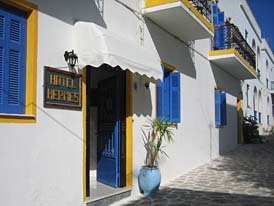 Hotel Hermes is a small, independent, family run hotel. 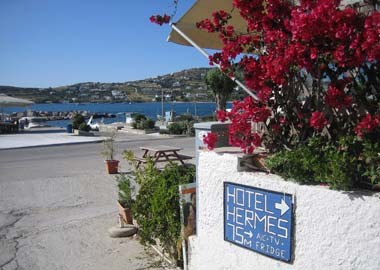 It is 5 minutes walk from the port of Parikia and 2 minutes walk from the sandy beach of Livadia. 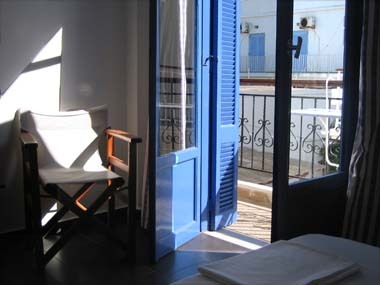 The hotel has a total of 20 rooms, 5 rooms have access to the garden & 12 have a balcony. The building has been refurbished recently. 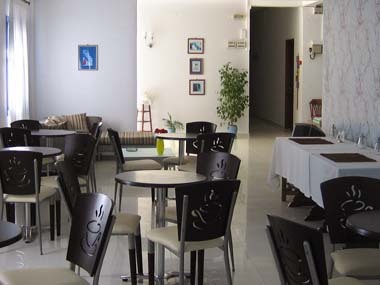 Near the hotel are a couple of mini-markets, there is a supermarket approximately 5 minutes walk away, as well as the post office & banks. 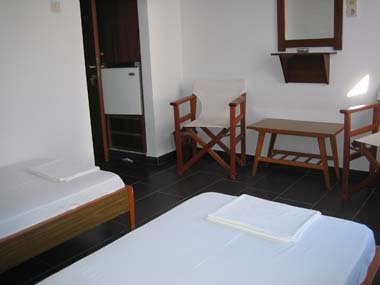 All rooms have air-conditioning, direct dial phone, refrigerator and some of them feature TV sets. 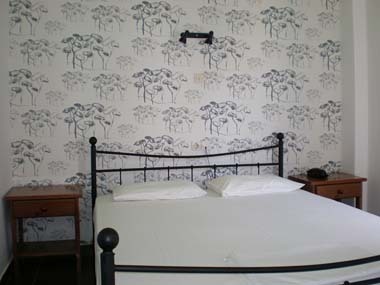 The building has been refurbished and redecorated recently. A baby cot is available upon request. 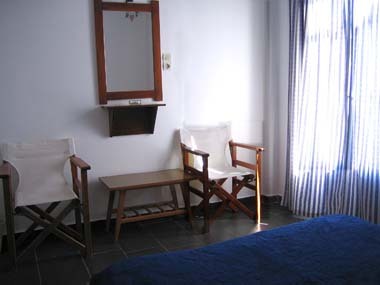 Owners Colin Brown and Stella Angelaki-Brown will ensure a warm welcome and a pleasant stay. 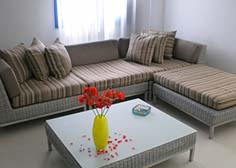 Their knowledge of the island will help you enjoy your holidays. 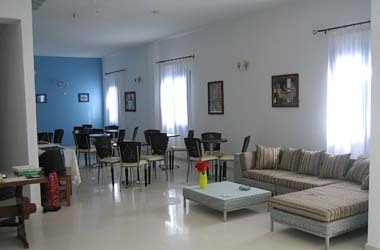 Hospitality, cleaniness and politeness are guaranteed. 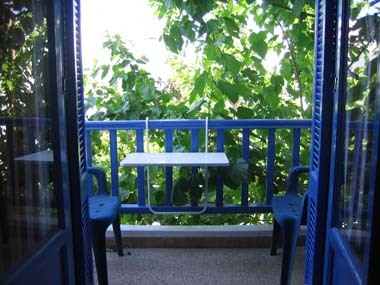 Parikia has regular bus connections to the islands other villages such as Naoussa, Aliki and Lefkes. These villages each have their own unique charm and are well worth a visit. 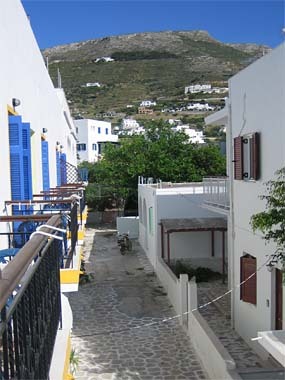 The neighbouring island of Antiparos is also very easy to reach, either from Parikia by boat or from Pounda where there are regular ferry boats throughout the day.